A new painless cavity drill is set to hit dentists’ surgeries in two years, scientists from University of Missouri and the technology company Nanova announced. 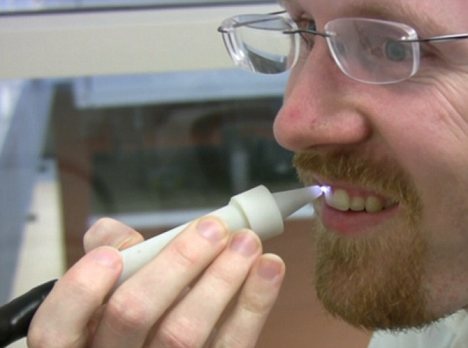 The new device uses chemical reactions to disinfect cavities before operations, and forms a bond on the tooth which is much stronger than current techniques. If the trials are successful, the brush could revolutionize one of the most important areas of dentistry. The scientists claim that 75% of all dental procedures involve fillings, and billions of pounds are spent on the minor operations each year. If all goes to plan, the pain will end in late 2013, when the plasma brush should be made available to dentists for the first time.